HWLH News Letter for February 2018 - Issue #0051 - The Ketogenic Diet - Could This Work for You? February 2018 - Issue # 051 - The Ketogenic Diet - Could it Work for You? 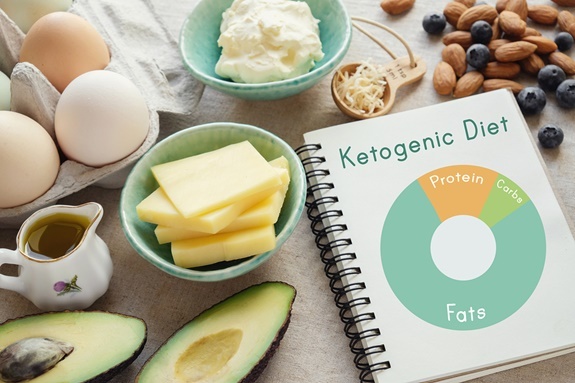 Sounds like the ketogenic diet is one of the latest weight loss trends to try, but actually it’s been around for years and it wasn’t even intended for weight loss. This diet was actually created in the 1920’s to help treat children with epilepsy. It was shown to have beneficial results for kids suffering from seizures. Of course now there are more modern medicines that can help with epilepsy. As time passed on, some people realized its potential for weight loss and have created both diet plans and pills that are based on its platform. One thing about the ketogenic diet is that it’s high in fat intake. So how can eating fat actually help you lose fat? It’s actually a simple concept to understand. Well, if you enjoy fatty foods this plan may be worth looking into. This diet is high in fat, low in carbs and includes a moderate amount of protein. A diet that is high in fat and low in carbs will trigger ketosis in the body. And what is ketosis? Without getting too scientific it’s a process which forces are bodies to break down fats instead of carbohydrates for energy. 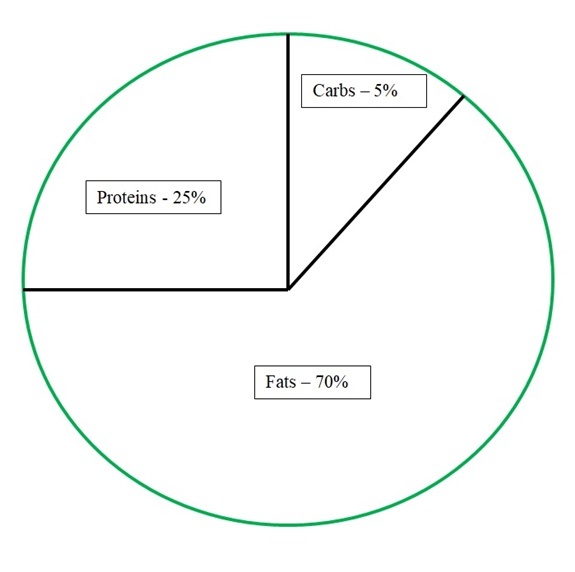 Since this diet is so low in carbs the body is forced to use fat for energy instead of carbs (converted glucose). When you drastically minimize your carbohydrates and increase your fat intake, the liver begins using the body’s fatty acids to make molecules called “ketones” which now the body uses as fuel. Not only does this create weight loss but by eating this way it also greatly reduces hunger (fat does take longer to work up and digest). That’s why when you’re on this diet the body burns more fat and at a much faster rate. The diet contains approximately 70% in fats, 25% in proteins and about 5% in carbohydrates. Since this diet is low in carbs this may be difficult for bread lovers. Grains – wheat, corn, rice, cereal, bread, pasta, oatmeal, tortillas, etc. Starchy vegetables and legumes – potatoes, yams, beans, etc. Fruits – bananas, apples, oranges etc. - with the exception of avocados (yes, it’s a fruit), star fruit and most type of berries in moderate amounts. Sugars – honey, agave, maple syrup etc. Proteins in moderation – fish, beef lamb poultry eggs, etc. Low carb vegetables – spinach, kale, bok choi, romaine lettuce, cauliflower, broccoli, collard greens, green beans, onions, etc. Dairy high in fat content – cheese, cream, butter, etc. Other fats including oils, salad dressings and mayonnaise etc. This program only allows you to consume 20 net carbs a day. What Else Does the Ketogenic Diet Demand? Intermittent fasting is also incorporated into the ketogenic diet, which just means there are parts of the day you refrain from eating. For instance if you can avoid eating between 6:00 p.m. till 10:00 or 11:00 the next morning, this is a pretty good fast. Though some people will fast for greater lengths of time. They recommend adding some type of exercise to your daily routine. Walking more, taking the stairs, swimming or whatever works for you. Exercise will accelerate weight loss. I’m not sure if this article has sparked your interest to know more or give this diet a try? If you decide to take it a step further there is lots of information available on the ketogenic diet, including menu planning and recipes. If you are truly interested, amazon has quite a selection of books about it, with many for under $10. Since the ketogenic diet menu is made up of 70 % fat, it’s not recommended by many health professionals as a long term solution. This short video below may help you decide if you want to try it. Amy Sowder tried the Ketogenic diet for weight loss and in this video from Women’s Health she shares with us what happened. Video for Ketogenic Diet Results From Womens Health.